It might seem complicated to have to learn the technical details of tieing all the different climbing knots, but the more you practice the more automatic it will become. 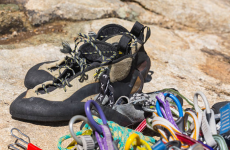 While there are a lot more helpful climbing knots to learn, the best ones to focus on as a beginner are the most common and often required ones for getting started. 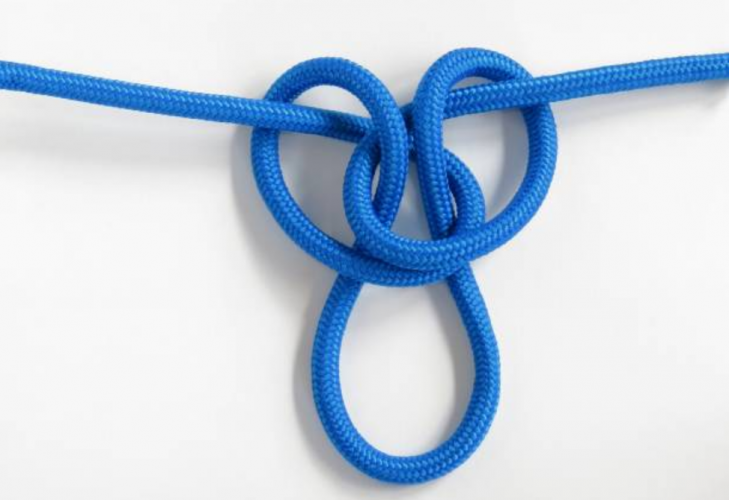 A Figure Eight knot is shaped like, well, a figure 8. It is a very strong climbing knot, and with enough of a tail it is easy to see how it is safe from becoming un-tied by loading weight or applying force to the rope. 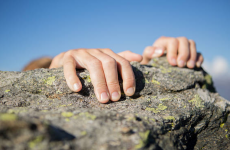 As a rock climber, you should definitely practice how to tie one of these from a loose rope end. Also known as the Figure Eight Follow Through, or the Flemish Bend, this is easily the most important knot for harnessed rope climbing. 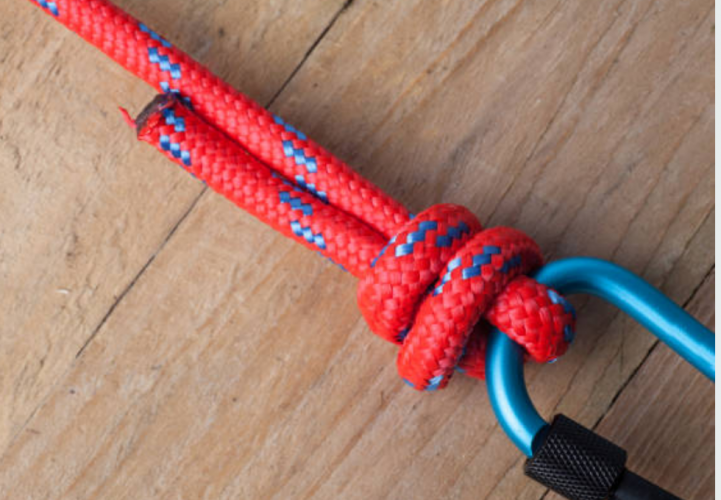 Even though many climbers will argue that a single figure 8 knot is strong enough, and guaranteed “enough” not to come undone, doubling up on the knot will increase its strength and safety. At a lot of climbing gyms, the first double eight knot is usually left in the rope, so sometimes simply tracing the existing double eight knot in reverse is all that is required to get this one finished. 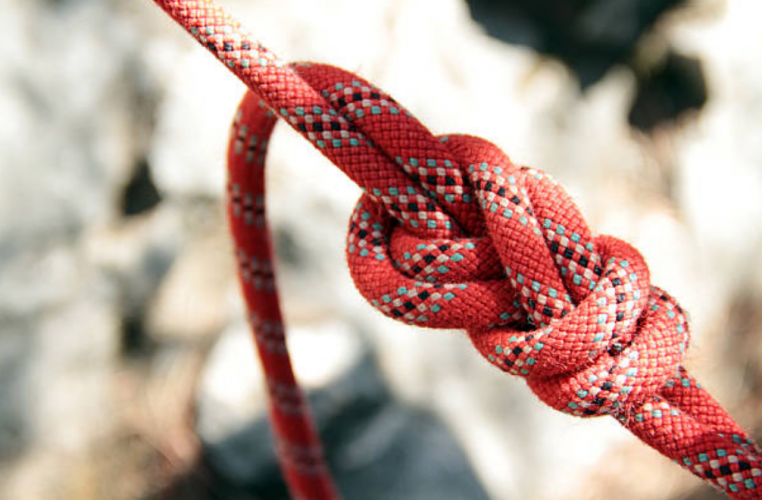 In climbing terms, this knot is often referred to as a stopper knot, or a backup knot. 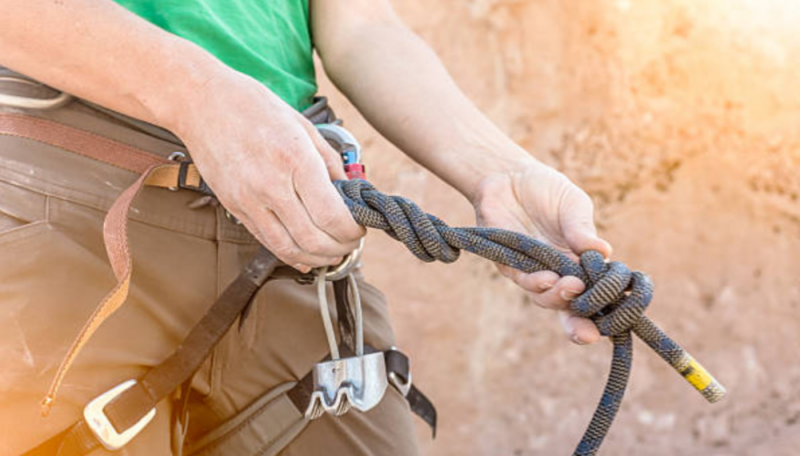 It is usually used along with another primary method of securing, or for instances like securing the end of your rope from flying through your belay device. This combination of Double Figure Eight with a stopper Double Fisherman’s Knot is widely recognized as the best practice for securing your harness for every climb. It is also used in repelling, setting up anchors, hauling loads. You will see this combination used in numerous ways so it’s important as a new climber to get very comfortable with this setup. Also known as a Grapevine, this knot is good at attaching the ends of two ropes together. 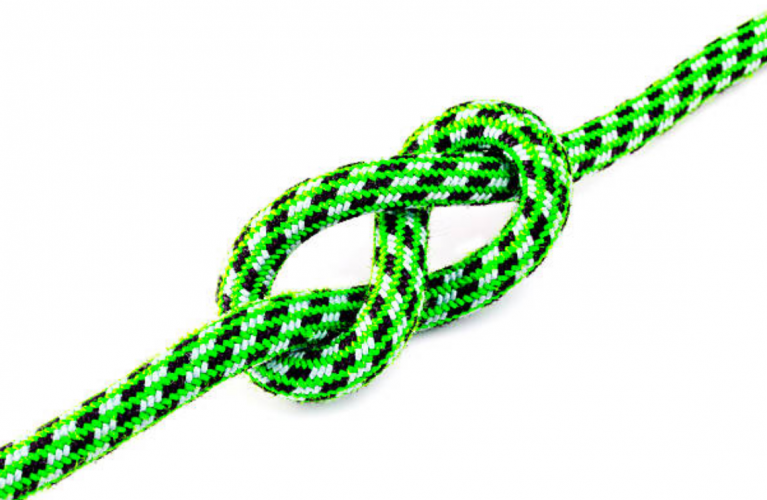 When the two knots are pulled together, it tightens the knot. The Water Knot is sometimes known as a Ring Bend. It is a simple knot that is often used for tieing webbing together by tracing the second knot through the first. It is important so leave a long tail and using a backup knot on the tail is advised as well. 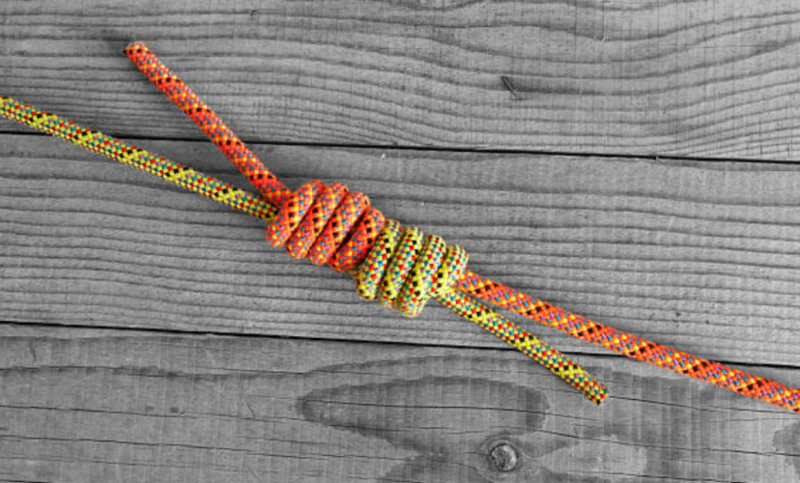 The girth hitch is another climbing knot commonly used to attach webbing to rope, and is often used to attach a sling to your harness loop. but it can also be used in a lot of situations during climbing and belaying. Is is easy to tie, and there actually isn’t a lot of tieing involved. Setting up a girth hitch is more like creating a loop that can be quickly set up with one or two hands.. The knot can slide both back and forth on the surface it’s looped around, and if it isn’t weighted evenly on the bottom, the two ends can slide up and down as well. 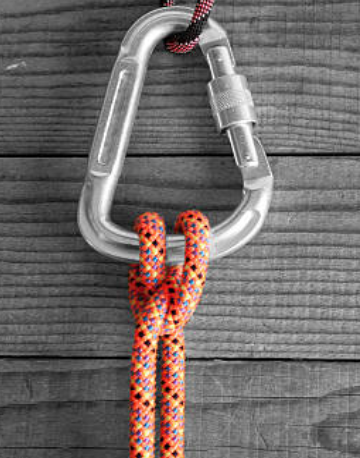 The Clove hitch is sometimes referred to as a Double Hitch, and it is generally used to connect a carabiner using two half-hitches in the rope. It is very easy to set up and to adjust this knot after it is set. The weighted end of the clove its should be on the spine side of the carabiner. This is not as strong of a knot as the traced figure out, so it is not meant to be used for absorbing the impact of repeated loaded falls. 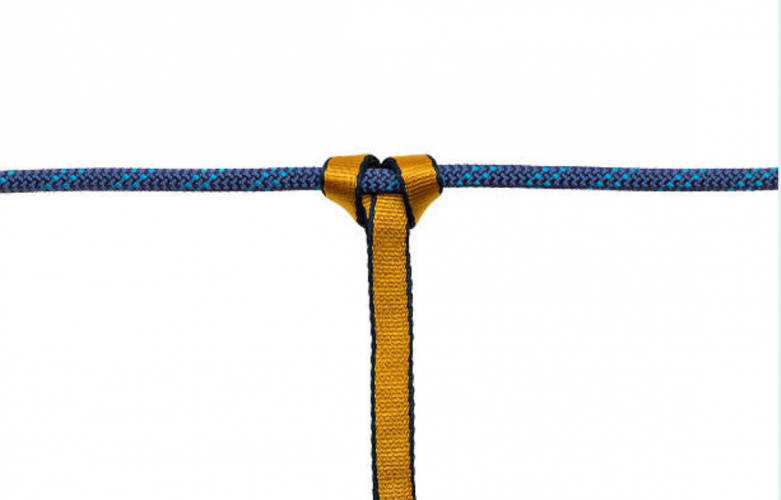 While this knot might be considered to be a more advanced mountaineering knot, we’re including on the list of basic climbing knots because it’s just so useful to know. It is a way to make a completely secure loop in the middle of a single rope. This loop is also a great way to isolate a damaged part of a rope temporarily, so that the rest of the rope can still be used. Hopefully this has been a good introduction to basic climbing knots that you will come across as you start to rock climb more. Once you’re ready to learn and practice more, check out this longer, more complete list of climbing knots to learn.